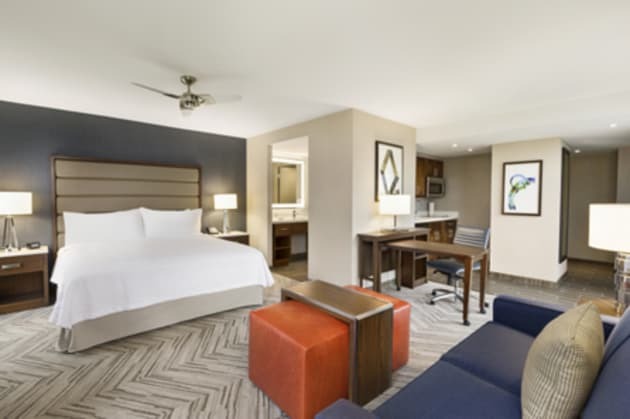 A Vibrant Hotel Near Washington DC LandmarksJust across the street from the Navy Yard Metro Station, the Homewood Suites by Hilton Washington DC Capitol-Navy Yard provides easy access to Capitol Hill, government offices and the central business district. 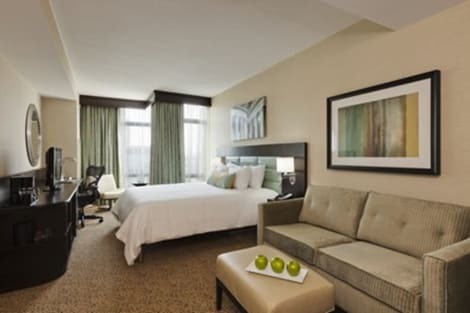 Our all-suite hotel is located near the Washington Navy Yard, Washington Monument and the Anacostia River. 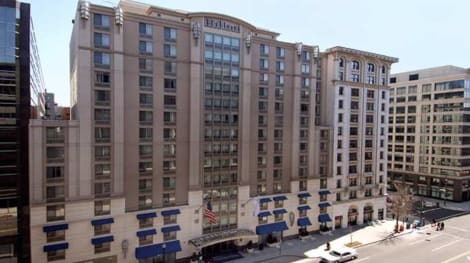 Marvel at some of Washington DC’s most famous landmarks from our rooftop terrace or the comfort of your stylish suite. 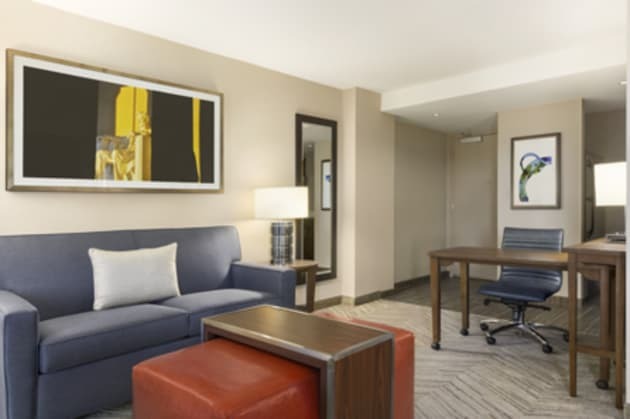 With a modern glass façade and fresh, contemporary décor, our hotel provides an ideal base for your trip to Washington DC.Settle into your roomy suite and enjoy views of our Nation’s Capital through modern floor-to-ceiling windows. 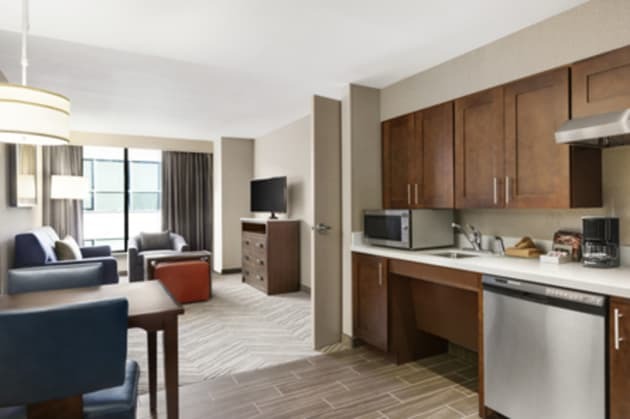 Each of our spacious one- and two-bedroom suites features free WiFi, a full kitchen and a 37-inch HDTV. 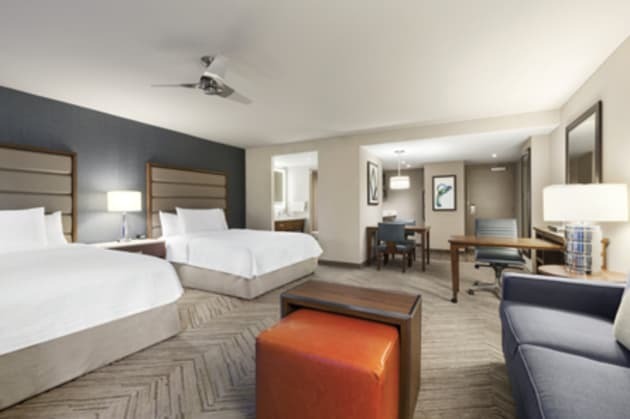 Upgrade your suite and enjoy a corner suite or views of Nationals Park. Wake up to free hot breakfast each morning and our evening social* Monday through Thursday. Planning a business meeting or social event? Our hotel features over 1,000 sq. ft. of meeting space and accommodates up to 60 guests. *Local and state laws apply. Don't miss out on recreational opportunities including an outdoor pool and a fitness center. This hotel also features complimentary wireless Internet access, concierge services, and gift shops/newsstands. Getting to nearby attractions is a breeze with the complimentary area shuttle that operates within 2 miles. At Kimpton Mason & Rook Hotel, you’ll feel like you’ve arrived at your stylish friend’s urban home. Situated on a romantic, tree-lined street just steps from the bustling 14th Street action, the distinguished and stately venue emanates an air of mastery — in the most unassuming and hospitable way. Guests come for the prime location, creative spaces in which to host meetings and events, an innovative restaurant & bar and sensational roof deck. Here, clever welcomes comes with a complimentary dose of warmth. Enjoy recreation amenities such as a fitness center or take in the view from a terrace. Additional amenities at this hotel include wireless Internet access (surcharge), concierge services, and a ballroom.